Effectively communicating with your target audiences requires an understanding of what’s important to them and what they like and don’t like. And every organization needs a different approach to connect with their unique stakeholders. That is why understanding how all of your communications (whether they be ads, press releases, videos, or even emails) affect and influence your stakeholders is crucial in crafting communications that build effective relationships with your target audiences. In order to do so, however, you need a way to test them that is budget and schedule friendly. You cannot afford to wait weeks to send an email or distribute a press release. And because no two communications are alike, you need a way to customize your testing to get an accurate picture of how your specific approach is working with your specific stakeholders. 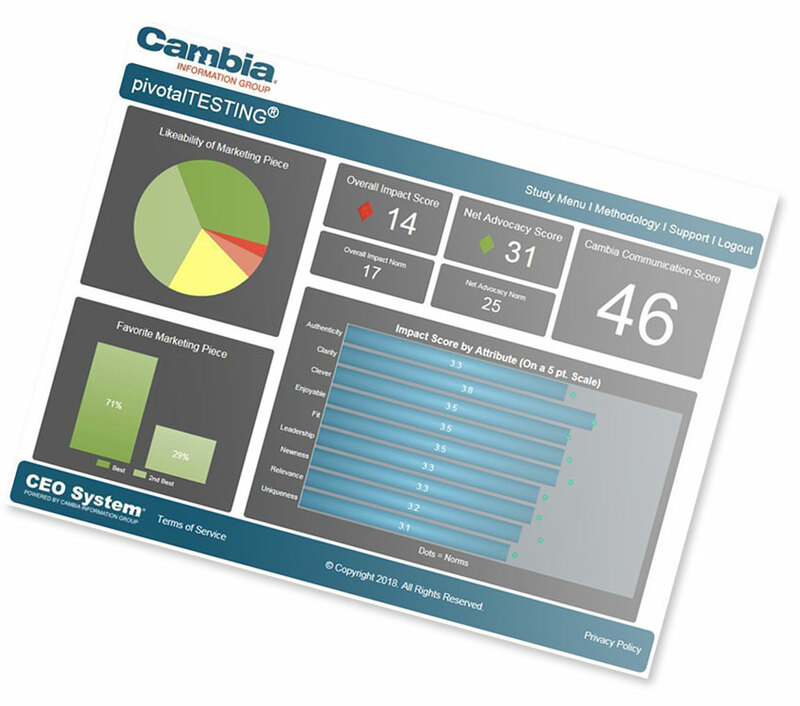 Cambia’s pivotalTESTING® tool is designed to quickly provide you with tailored, cost-effective analyses of all of your communications efforts.